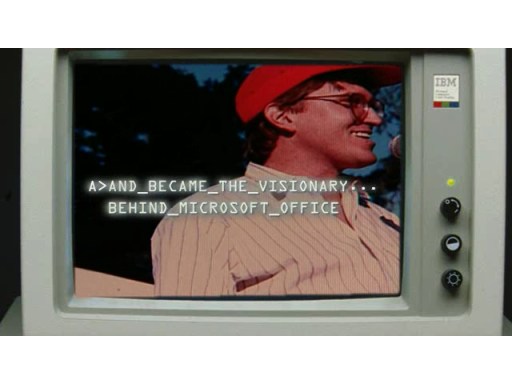 For Microsoft, 1996 is all about partnerships. The Interactive Media Division is created consisting of MSN, the MSN online service games and kids' titles and the information businesses formerly residing in the now-dissolved Consumer Division. Microsoft Internet Explorer version 2.0 for Windows 95 is available in 22 languages, bringing Microsoft's Web browser to the largest international audience of any Internet client software and Microsoft and America Online (AOL) form a partnership. The 1996 fiscal year-end sales total $8,671,000,000. The 1996 fiscal Year employee headcount totals 20,561 people. Microsoft acquires Vermeer Technologies. Vermeer's flagship software application, FrontPage, is a tool for easily creating and managing rich Web documents without programming. FrontPage will become a key component of Microsoft's strategy to provide a full range of tools for both Internet and intranet publishing. Microsoft names Mattel USA President and Chief Operating Officer Jill E. Barad on its Board of Directors. 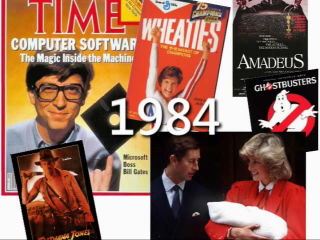 Barad is the first woman named to the Microsoft Board of Directors since Portia Isaacson served in 1986 and 1987. The Interactive Media Division is created consisting of MSN, the MSN online service games and kids' titles and the information businesses formerly residing in the now-dissolved Consumer Division. The new division will focus on creating and marketing worldwide, interactive entertainment and information products across a variety of media, including the Internet. The Platforms Group is aligned to more closely coordinate the Microsoft Windows family strategy and to concentrate on developing complementary products and technologies for the Internet. Microsoft, along with 3Com Corporation, Ascend Communications, ECI Telematics, and U.S. Robotics, announces point-to-point tunneling protocol (PPTP), a new networking technology that supports multiprotocol virtual private networks, enabling remote users to access corporate networks securely across the internet. 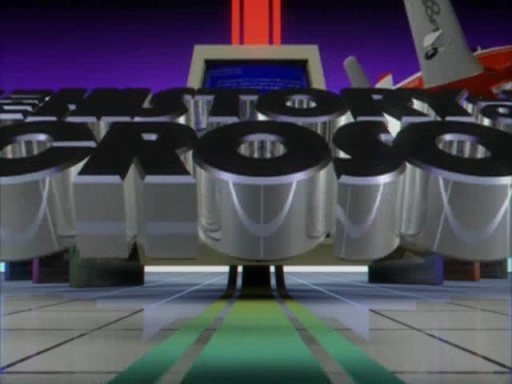 Microsoft Internet Explorer version 2.0 for Windows 95 is available in 22 languages, bringing Microsoft's Web browser to the largest international audience of any Internet client software. The 22 available languages are as follows: Chinese Traditional (Taiwan), Czech, Danish, Dutch, English, Finnish, French, German, Greek, Hungarian, Italian, Japanese (AT and NEC 098), Korean, Norwegian, Polish, Portuguese (Brazilian), Portuguese (Iberian), Russian, Slovenian, Spanish, Swedish, and Turkish. 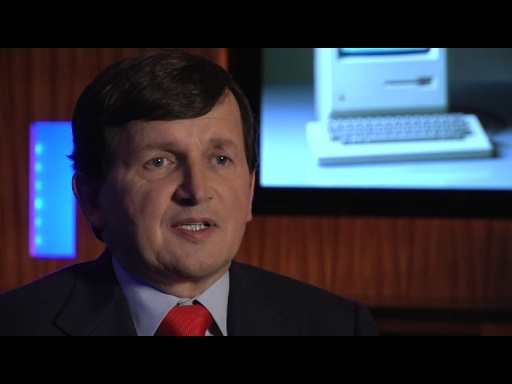 Microsoft and America Online (AOL) form a partnership. AOL integrates Internet Explorer into its client software for Windows 95, Windows 3.1, and Macintosh. Microsoft gives users of the Windows 95 easy access to the America Online service via a folder on the Windows 95 desktop. MSN enrolls more than one million members in more than 190 countries, in its first seven months of service, making MSN the fastest-starting Internet online service in history. Exchange Server is available. Exchange Server is the first integrated messaging and groupware server designed to provide users and system administrators with native open and secure access to the Internet. 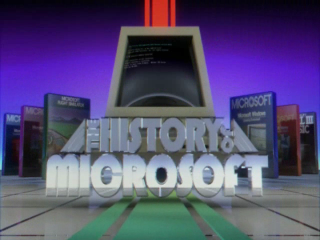 Cartoonist Garry Trudeau drops the Microsoft® Encarta name in a Doonesbury strip providing free publicity for the product while at the same time signaling success for Encarta in becoming the first name that comes to mind when people think of an online encyclopedia. Microsoft signs a definitive agreement to acquire aha! software corporation of Mountain View, California, a leading developer of electronic-ink note-taking and editing software for mobile computers and communicators. 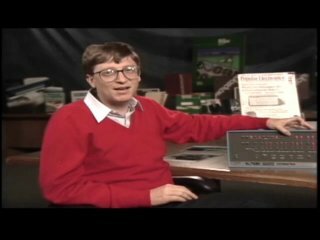 As part of this year's National Library Week, Bill Gates will host an online chat on MSN, The Microsoft Network online news service, at 10 a.m., Wednesday, April 17, 1996, to celebrate the "cyberlaunch" of Libraries Online! *this is interesting as it eventually morphs into one of the cornerstone programs of the Bill & Melinda Gates Foundation. 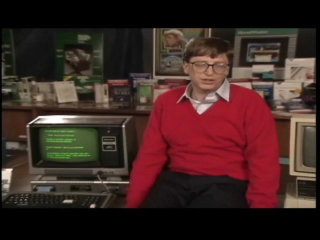 In a press release, Bill Gates describes the enormous business opportunity involved with using an intranet. He encourages customers to use the full capability of the Microsoft tools they have already purchased. Microsoft acquires eShop, a leader in Internet commerce software technology based in San Mateo, California. Known for its Internet shopping mall, eShop Plaza, the company is also the developer of eShop Technology, the leading merchandising and shopping system that merchants use to build online commerce operations. eShop's technologies will be integrated into the Merchant product--a comprehensive solution for Internet retailing. Microsoft acquires Electric Gravity, creator of the Internet Gaming Zone (IGZ), a spot for playing games using the Internet. IGZ features classic games such as bridge, chess, spades, checkers, Reversi, go, and hearts, with log-ins currently registering at more than 30,000 each week. IGZ was created by Electric Gravity co-founders Kevin Binkley and Hoon Im. Electric Gravity employees will relocate to Microsoft's Redmond campus. Slate, an interactive magazine of politics, culture, and public policy edited by Michael Kinsley, goes live on the Internet. Microsoft launches MSNBC, the 24-hour news, talk and information network from NBC News and Microsoft. Microsoft and Kao Infosystems Company have reached an agreement in which Microsoft will award Kao a three-year contract to produce the majority of its packaged products for the North American market. As part of the agreement, Kao will purchase and operate Microsoft's Canyon Park production facility in Bothell, Washington, and offer employment to all of the facility's 400-plus manufacturing employees. Both companies believe the contract represents the software manufacturing industry's single largest turnkey services contract. *This meant that Microsoft no longer operated a manufacturing location in the U.S.
Microsoft promotes Jeff Raikes to group vice president, Sales and Marketing. In his new position, Raikes becomes a member of Bill Gates’ Office of the President. 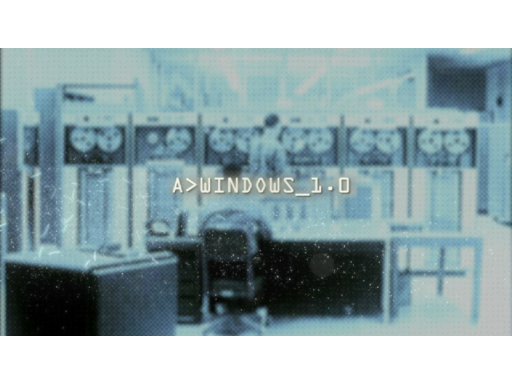 Microsoft Windows NT Workstation version 4.0 is released to manufacturing. Windows NT Workstation 4.0 combines the ease of use of the Windows 95 operating system with the reliability and security of Windows NT. Microsoft Corp. and VeriSign Inc. today announced that the first technology to allow secure downloading of software over the Internet is now available. Microsoft presents Windows CE, an open, scalable Windows operating system platform for a broad range of communications, entertainment, and mobile computing devices. It was formerly known by the code name "Pegasus." New Web-based version of The Microsoft Network debuts. Microsoft ® Expedia, a free, comprehensive, user-friendly travel service, debuted today on the World Wide Web. Expedia marks the entry of Microsoft Corp. as the first major technology player in the online travel services arena. Patty Stonesifer resigns from her position as senior vice president of the Interactive Media Division. Stonesifer is credited with building Microsoft’s position as the world’s leading consumer and interactive media company. 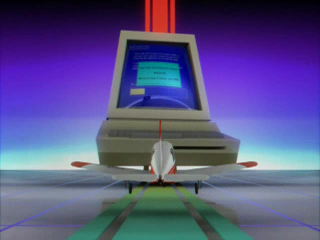 Microsoft Flight Simulator for Windows 95 releases, marking the first time in its 14-year history that the product is available on the Windows platform. Microsoft's Board of Directors approves a 2-for-1 stock split. Shareholders will receive one additional share for every share held on the record date of November 22, 1996. The Executive Committee replaces the Office of the President as the most senior management team at the company. Senior Vice President Jim Allchin and Senior Vice President Brad Silverberg will join Steve Ballmer, Bill Gates, Bob Herbold, Pete Higgins, Paul Maritz, Nathan Myhrvold, and Jeff Raikes on the new Executive Committee. Microsoft announces SQL Server sales have increased by over 100 percent compared to last year, bringing the total number of users to more than 2 million. · Designed to create small programs that travel over computer networks as the user needs them, Sun Microsystems's Java programming language is licensed to every major hardware and software company. · A new generation of faster, sleeker hand-held PCs hits stores, many featuring Microsoft's streamlined operating system, Windows CE. · President Clinton beats Bob Dole to continue onto his second term in office. · Air Disasters: A nervous year for air travelers, as ValuJet Flight 592 crashes in the Florida Everglades and TWA Flight 800 explodes off Long Island. There were no survivors from either flight. · Internet: eBay is founded. · Winter: Major blizzards and record low temperatures strike the East and Midwest, leaving over 100 dead. · Stock Market: The Dow Jones Industrial Average closes above 6,000 for the first time, then closes above 6,500 barely a month later, leading Federal Reserve Board chairman Alan Greenspan to condemn the “irrational exuberance” of the market. · TV: Seinfeld, E.R., and Friends are among the top television programs. Spin City, Everybody Loves Raymond, and 3rd Rock from the Sun premiere. · Arrest: “Unabomber” Theodore Kaczynski is arrested at his Montana cabin. · Chess: IBM’s Deep Blue defeats world champion Gary Kasparov in the first game of a six-game playoff. Kasparov goes on to win the series, scoring 4-2. · Olympics: The Summer Olympics in Atlanta are struck by tragedy when a bomb explodes in Centennial Olympic Park, killing two and injuring over a hundred. Right-wing extremist Eric Robert Rudolph is later convicted for the attack. · Computers: Palm launches the first successful PDA, the Palm Pilot. · Science: Dolly the sheep is born, becoming the first successful clone of a mammal from an adult cell. · Crime: Six-year-old beauty queen JonBenét Ramsey is found murdered in Boulder, Colorado. No one was ever arrested for the crime. · Internet: The Onion launches its online satire site. · Divorce: Charles and Diana, the Prince and Princess of Wales, are formally divorced. · Games: id Software releases first-person shooter Quake. · Movies: Top grossing movies of the year include Independence Day, Jerry Maguire, Twister, and Mission: Impossible. The English Patient won the Best Picture Oscar, while Geoffrey Rush won Best Actor for Shine and Frances McDormand won Best Actress for Fargo. And now when I think of an online encyclopedia I immediately think of Wikipedia, not Encarta. - I am not able to download the file (using W7, IE8). Is there a bug? 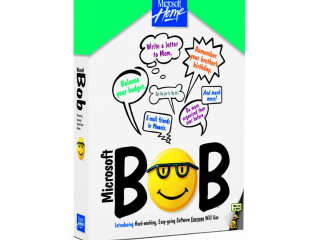 - The best would be to release a DVD of this history of microsoft once completed. "Other Products Released in 1991: " ... in 1991?????? 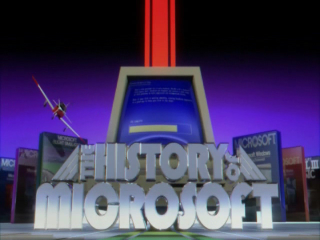 I love this history of Microsoft.